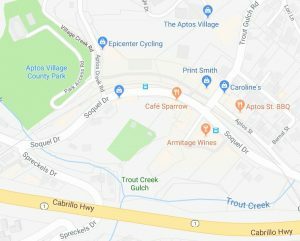 County of Santa Cruz Department of Public Works has announced Soquel Drive from Spreckels Drive to Trout Gulch Road will be subject to traffic delays between the hours of 8:30 am to 4:30 pm on Friday, December 7, 2018. These delays are necessary for geotechnical investigations for upcoming roadway repairs. Be prepared for delays of up to 15 minutes. Questions may be directed to Tim Nguyen at (831) 454-2160.